There are no wrong questions, just unpartnered answers. 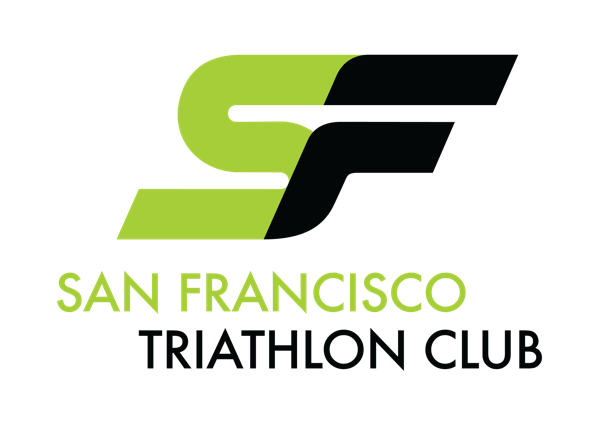 What sets SF Tri Club apart from other clubs? The San Francisco Triathlon Club is a supportive community of athletes of all levels. We share a passion for the sport of triathlon, bring sportsmanship and camaraderie, and create a friendly and energetic environment. Our motto is “pure energy,” and we strive to share that through all our club activities! We also firmly believe that everything is more fun when you do it in costume. Do you offer coached workouts and is there an additional cost? We organize some coached workouts for members including track (included in membership) and spin programs (additional costs) both are coached by professionals. If we pay to bring in a specialist coach for a specific clinic, we may have to pass on a nominal charge to those wanting to participate. As a non-profit, we try to minimize this as much as possible. The 0-60 program brings together people that are new to the sport and aims to prepare them for an Olympic distance triathlon. Participants receive a training plan, a cohort of newbies to train with, as well as planned runs and rides each weekend. An effort is made to bring the group together and allow for questions, answers and discussion focused on the newbie experience. I’m a triathlete visiting from out of town. Can I join in for a workout without being a member? Yes! Visiting athletes are welcome to join us for a workout. All of our swims, rides and runs are posted to our calendar, look there for upcoming activities. You won’t be able to RSVP for events on the calendar without being a member, but feel free to show up. The workout leader and their contact information should be posted if you need more specific information. Signing a waiver may be necessary. I’m interested in your club, can I join in for a workout before becoming member? Yes! You may try a bike ride, swim or a run before you sign-up. All of our swims, rides and runs are posted to our calendar, look there for upcoming activities. You won’t be able to RSVP for events on the calendar without being a member. You may be expected to sign a waiver before the workout and we ask that you limit "testing out" the club to a couple of workouts - it's not fair to our members to reap the same benefits they have without joining yourself. We do hope you'll join us - it's a fun group! Do you have any recommendations for a bicycle rental shop? Sports Basement and Mike's Bikes offer high-end road bike rentals. How can I get a uniform? You can purchase uniform items from the club store at the beginning of the season in January. The club places one order per year and the items are delivered in April before HITS race weekend; if demand is high, we open the store for a second round in late spring. What else should I know? How are you set up?